Alliance for Veteran Support - Gridless Power Off-grid, clean, rugged solutions for your toughest power problems. Gridless designs solar batteries with the capacity of a generator. Gridless Power was proud to be a sponsor at the Alliance for Veteran Support Initiative on September 20, 2012. 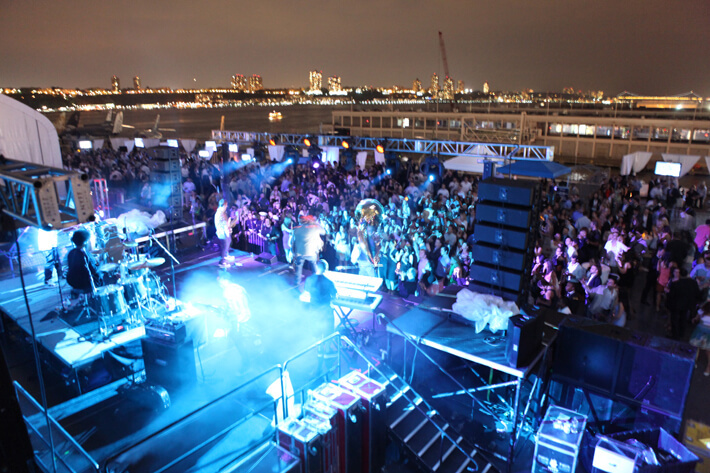 The event was held on the Intrepid Sea, Air and Space Museum in New York City. The fund was raised to improve the lives of veterans and their families by assisting various initiatives that provide medical treatment, education, family support, homes, and employment opportunities. Gridless Power was developed to bring solar to forward operating bases, reducing the need for dangerous supply convoys that put troops in harm’s way. Gridless is proud to support the troops both on and off the field.